Art.1 of the Italian Leg. Decree 31.5.2014, n. 83, "Urgent measures for the protection of cultural heritage, cultural development and the relaunch of tourism", subsequently turned into Law n. 106 dated 29/07/2014 and following modifications and integrations, introduced a form of tax credit, called Art Bonus, for donations in favour of culture and the performing arts, aimed at promoting patronage of the cultural heritage. Anyone making a donation in support of cultural activities will enjoy sizeable tax benefits, consisting of tax credits. 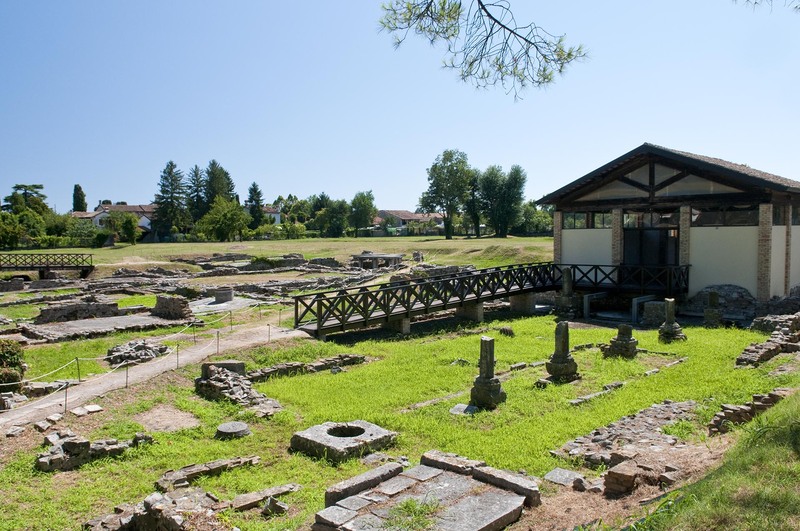 The overall cost of the works for the restoration, redevelopment and enhancement of the archaeological site named Fondo CAL (Roman houses from the 1st to the 5th centuries AD) amounts to € 1,450,000.00. 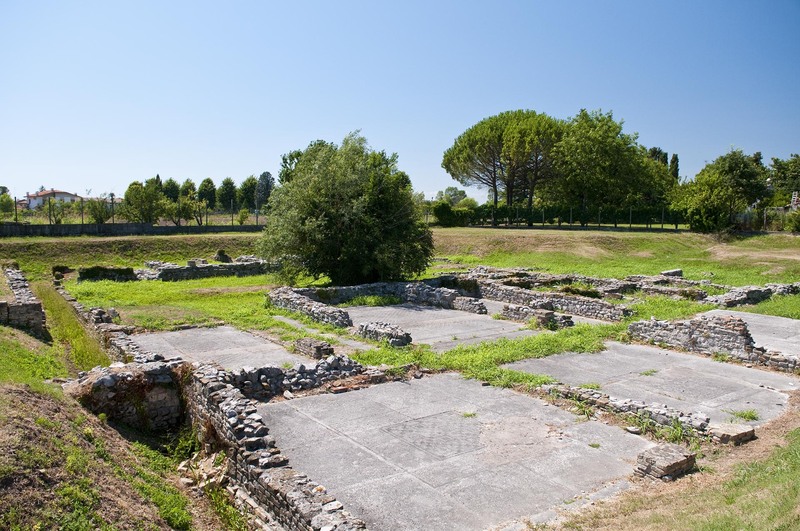 Excavations in the site of Fondo CAL (about 2,800 sq metres wide) during the 1950s have brought to light a wide portion of remains of Roman private houses found along one of the major roads of the city, which coincides with today's SR 352 (via Giulia Augusta). In particular, the vestiges belong to at least two different dwellings. The first, lying on the southern portion of the plot, was organized around a reception hall (triclinium); the second opened onto a central square courtyard. The numerous floors found in the excavations helped date the original construction of the dwellings back to the 1st century AD. Several subsequent works (during the 2nd and 3rd centuries) altered the original layout of the rooms. During late Antiquity (4th c. AD), the two houses were united by means of a new large central hall and by adding an apse on the western side of the two extant reception halls. The northern apsed hall was preceded by a new courtyard provided with a portico on all four sides and covered with a new mosaic floor, now known as “the mosaic of the good shepherd”. In fact, because of the central pattern of the mosaic, the room has long been interpreted as a Christian oratory. Because of the quite low level of the vestiges, excess water is constantly pumped off. The masonry structures have been largely rebuilt after the excavations of the 1950s, by using stones and bricks bounded with cement, which now need restoration. The mosaic surfaces have almost entirely been detached and repositioned on concrete panels. Most of them now feature evident vegetal proliferation and dirt accumulation, which makes them unintelligible and needing restoration. On top of the so-called oratory of the Good Shepherd, a masonry structure was built in the 1950s to ideally reproduce the size of the original hall, which has helped preserve the mosaic. The structure itself was made the object of recent restoration works (1999).